On May 21, 2018, at approximately 7:10 a.m., a male gained entry into the Orange Theory Fitness Centre located at 3014 Henderson Highway, by breaking a window. Once inside the business, the suspect stole a digital camera, a small amount of cash, and an orange shoulder bag. 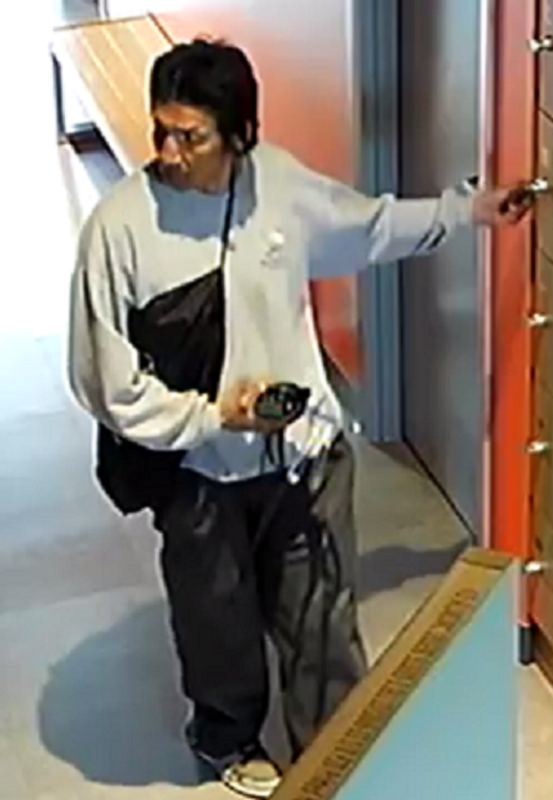 The suspect was captured on video surveillance, and is described as an Aboriginal male in his late 30’s to early 40’s, approximately 5’10” tall, with a medium build, and black hair. He was wearing a grey shirt, and dark pants. It is believed that he may have been travelling by bicycle. Anyone with information with respect to this incident, or the identity of the suspect, is asked to call the East St. Paul RCMP Detachment at (204) 667-6519, or submit a tip.